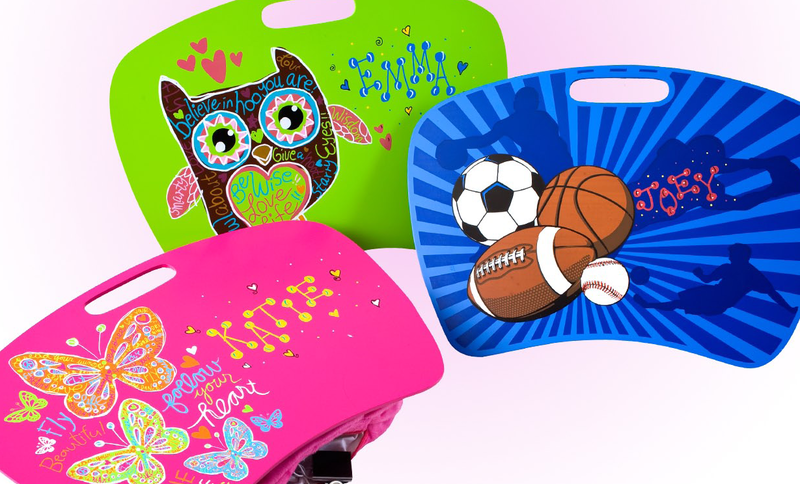 Three Cheers for Girls has just released three new lap desk designs EXCLUSIVELY for Learning Express! These styles are going to be super popular for back-to-school and during the holidays. The owl design is my favorite. Which one do you like best? I think these will be a huge back to school hit! The owl one is adorable, and I love the new boy design! Love the new styles!!!! They’re great for older kids that don’t want our typical lap trays, the soft cushion is great for sitting anywhich way and still being able to write on it. And as always, personalization is always a plus! The owl design is my favorite! LOVE THESE!! They are super cute, and really personal with the names. Either get them personalized after purchasing or bring them back! This is a fun way to get kids excited about working on homework and perfect for traveling!